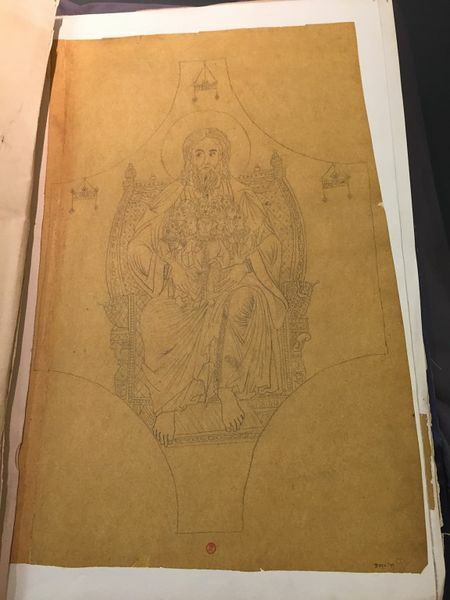 Pencil drawing on tracing paper of Jesus sitting in an ornate throne. He is portrayed holding several male figures (possibly saints) in his arms in his lap. 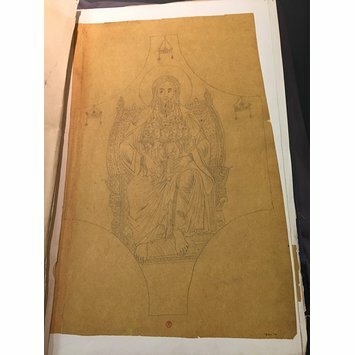 Drawing, Pencil, William Burges, English, ca. 1850 - 1881.